Long ago, following a cataclysm called `The Rupture', the world was shattered into floating celestial islands, known now as Arks. Ophelia lives on Anima, an Ark where objects have souls. Beneath her worn scarf and thick glasses, Ophelia hides two powers: the ability to read the past of objects and their human owners, and the ability to travel through mirrors. When she is promised in marriage to Thorn, the young girl must leave her family and follow her fiance to Citaceleste, the floating capital of a distant Ark. Why has she been chosen? Why must she hide her true identity? 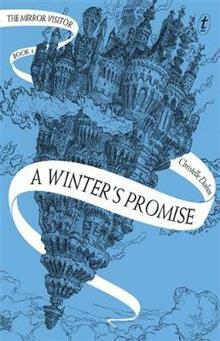 With a feisty, unforgettable heroine, a rich universe, romance and thrilling intrigue, A Winter's Promise will appeal equally to readers of Cornelia Funke, Scott Westerfeld and Margaret Rogerson. Discover the first instalment in a grand saga, and a talented new fantasy author. Christelle Dabos was born on the C te d'Azur in 1980 and grew up in a home filled with classical music and games. Her love of fantasy began with the Harry Potter series and she is part of a new generation of young fantasy writers. Her debut series, The Mirror Visitor, won the Gallimard Jeunesse-RTL-Telerama First Novel Competition, as well as the Grand Prix de l'Imaginaire and is an international success. She now lives in Belgium.